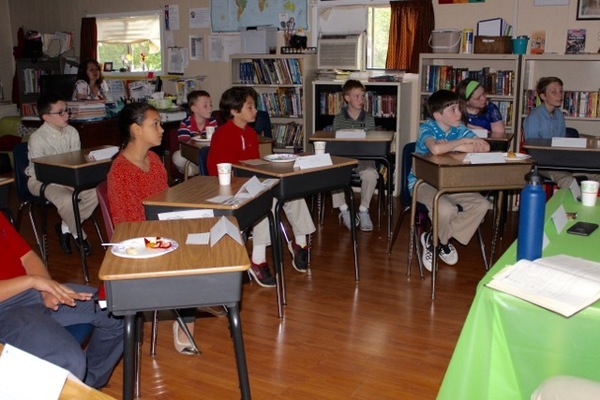 Last week we had our annual speech/debate contest. 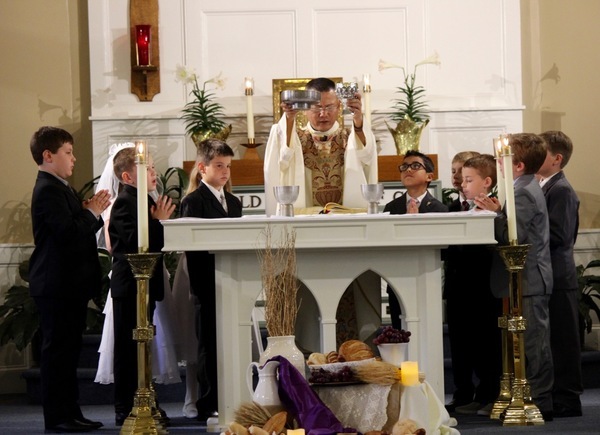 The students were prepared and did a great job. I would like to thank all the judges for their time and effort. Also, thanks to all the students who worked packing food for the Feed My Starving Children program. This was an excellent chance to work with other community members for a great cause. MAP testing begins this week. The test results offer an excellent way to see how our students grow academically through the year. I hope everyone has a great week! SJS wishes to thank all our wonderful volunteers for helping! Coaches, Home Room Moms, SIA, School Board, Enrollment, Robotics, brought a dish, volunteered time, coordinated an event, Box Tops, Coke Rewards, recycling, ETC, ETC, the list is never ending! Come join your fellow volunteers for a night of fun! 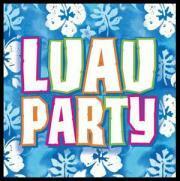 Friday, April 28th 6pm to 9pm at Slainte Pub, Downtown Georgetown. The art room is looking for donations for the scavenger hunt baskets. Items or monetary donations are welcome! Ideas....stamping pads, coloring books, sharpie markers, crayons, watercolors, spirograph set, rulers, stencils, stamps, sketch books, paint, chalk, crayola markers. Contact Miss Barb with any questions or ideas. Thank you!! Happy Volunteer Appreciation Week! Please make plans to join your fellow SJS volunteers this Friday, from 6-9 at Slainte Pub, downtown Georgetown. We appreciate all our volunteers do to make our school so terrific! Click here for more information. Teacher and Staff Appreciation Week! Teacher/Staff Appreciation week is next week! Please read the flier to see what is planned and how you can help out! 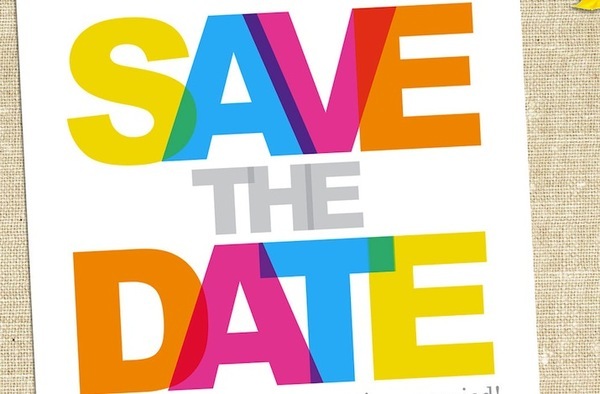 We will be providing a BBQ luncheon on May 1st. There is a signup.com link so you can help out and show the teachers and staff how much we appreciate them! 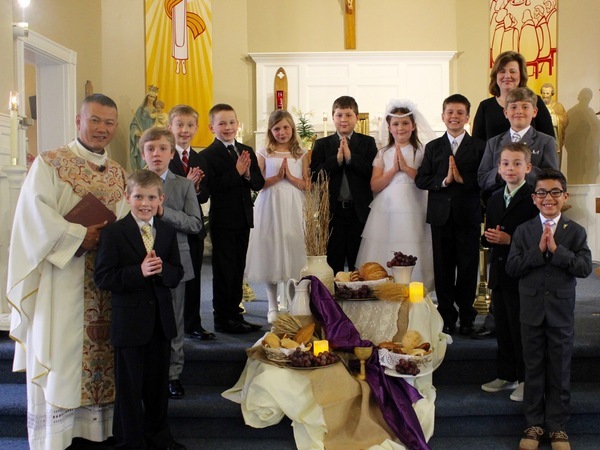 Congratulations to the 2nd grade class who made their First Communion this past weekend! 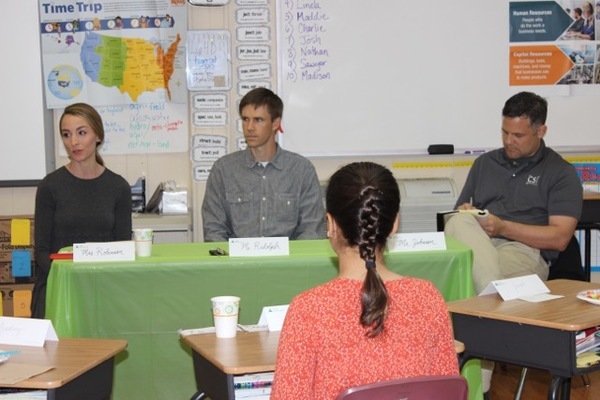 Mrs. Hayden’s 5th grade would like to thank Mrs. Erin Robinson, Mr. Chad Rudolph, and Mr. Thad Johnson (all SJS parents) for participating in our “Entrepreneurial Discussion Panel” to conclude our Junior Achievement curriculum. They came for breakfast and to share their experiences as business owners with us. Their three stories were all very different and we heard how they applied many of the lessons that we learned in their own professions. Their time, enthusiasm, and encouragement was much appreciated!! Click here to download the registration form for the Lexington Catholic Basketball Camp. 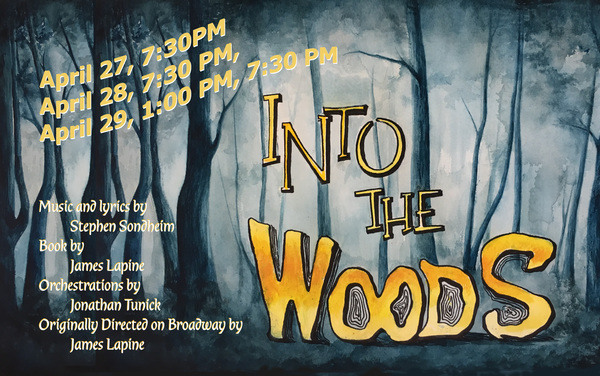 Lexington Catholic StageKnights present "Into the Woods"
April 27 and 28 at 7:30 p.m.; April 29 at 1:00 and 7:30 p.m.
﻿﻿Admission is $5 for students and $10 for adults. Middle School students enter free with their blue LCHS "Champions Made Here" wrist band. The deadline to order your summer solutions books is quickly approaching. All orders need to be placed by April 30th to receive free delivery to the school. Click here to download the flyer with all the information on how to order your books. Ms. Barb will be having a summer art camp at Cardome this summer. Please click here for more information about the camp. 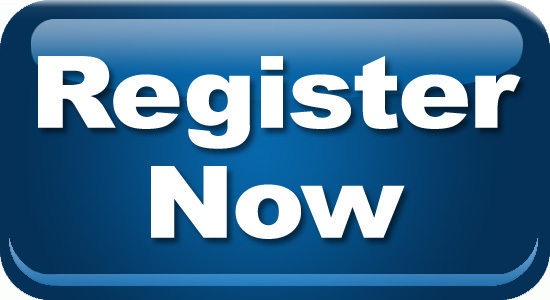 To download the registration form click here. How do teachers help struggling students? We also have a Title I teacher from Scott County who works with students who are struggling in math or reading once a week. 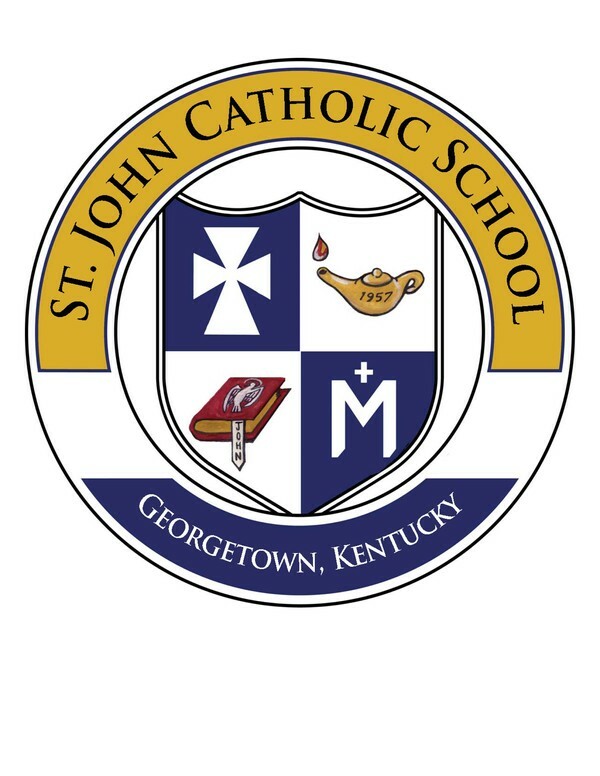 St. John School also has a student assistance team (SAT) that will give ideas to support teacher who have struggling students. Click here to download the lunch menu for April.